WestJet has dropped the price of some of their non-stop flights in November and December from Vancouver to Los Angeles, California down to $199 CAD roundtrip including taxes. There aren't any 2-3 night trips, just week long trips. You can also find a similar price from Victoria (YYJ) - but the flights will have 1 stop each way (in Vancouver). Victoria does not have non-stop flights to Las Vegas. On Priceline, the price will show up as $154 USD roundtrip including taxes. Priceline is *always* in $USD. vancouver, yvr, flight deals, westjet, united states, victoria, yyj, las vegas, nevada, las and north america. 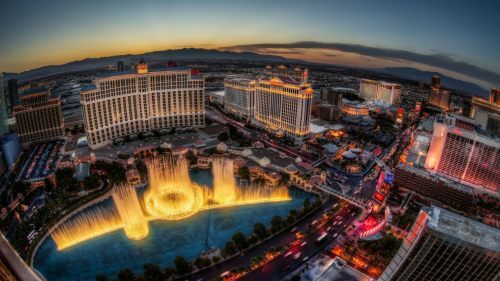 One Response to "Vancouver to Las Vegas - $199 CAD roundtrip including taxes | non-stop flights ($192 from Victoria)"